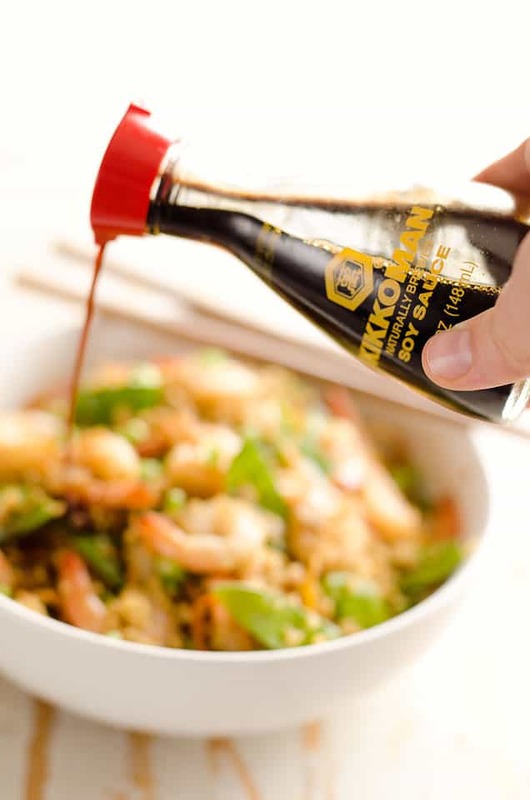 Light Shrimp Fried Quinoa is a healthy 30 minute dinner full of protein packed quinoa and shrimp then finished off with delicious Kikkoman soy sauce! The Chinese New Year is right around the corner! Do you do anything special to celebrate like throw a party or go out for Chinese food? 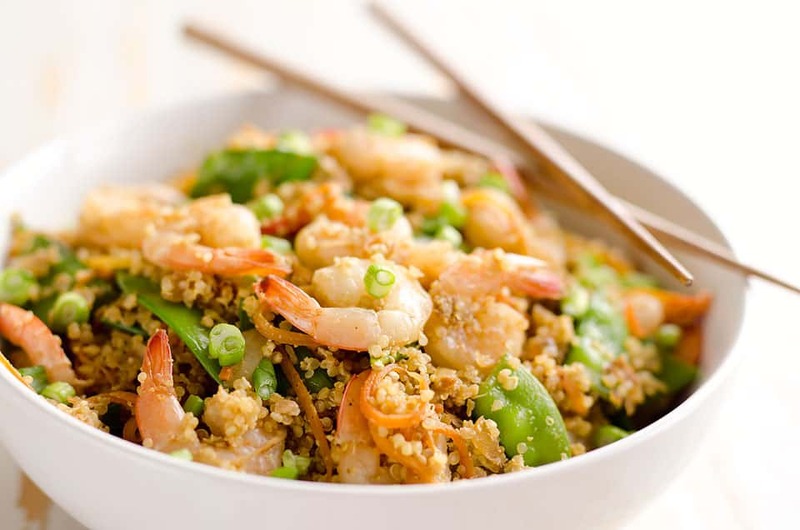 If you are less of a social person and more of a Netflix and Chill kind of person, this Light Shrimp Fried Quinoa is the perfect way to enjoy a night in with a healthy and delicious dinner in honor of the special occasion. Personally, I am more of a chill at home kind of girl and haven’t celebrated it in the past, but this year I am excited to attend a fun Chinese New Year event. The University I work at has a large population of Chinese students who are study abroad here. They host a big event each year where they perform traditional dances and music and serve lots of great Chinese food. I have heard amazing things about it and am excited to attend with my friend Julie. We never pass up an opportunity to eat good food! 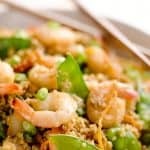 For those of you who want to celebrate at home this Light Shrimp Fried Quinoa is an easy and delicious meal you have got to try. 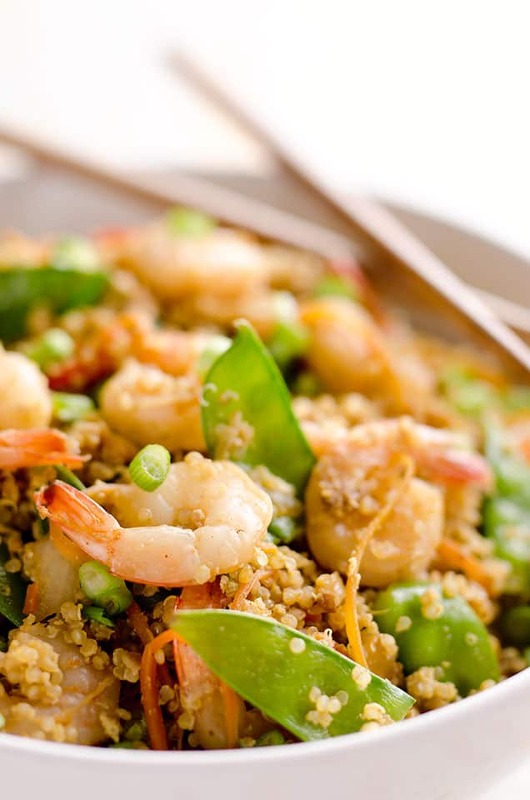 I substituted the rice for quinoa for a healthier option and shrimp are always a lean and protein packed food you can’t go wrong with. If you aren’t a big shrimp person, you could easily swap them out for chicken. To get started I toasted my quinoa in some sesame oil for some added flavor and richness. I then added the chicken broth and let it do it’s thing. Meanwhile, I sauteed up some of my favorite veggies in more sesame oil, garlic and ginger. I tossed the quinoa, veggies and shrimp together and added the traditional egg, giving it a real quick stir so everything was coated well. Then I finished it off with my favorite soy sauce from Kikkoman for a delicious dinner my husband and I loved. The leftovers were packed up for a lunch I couldn’t wait to dig into at work! I love ingredients like this Kikkoman Soy Sauce, because with just a splash you can add so much flavor to a dish. 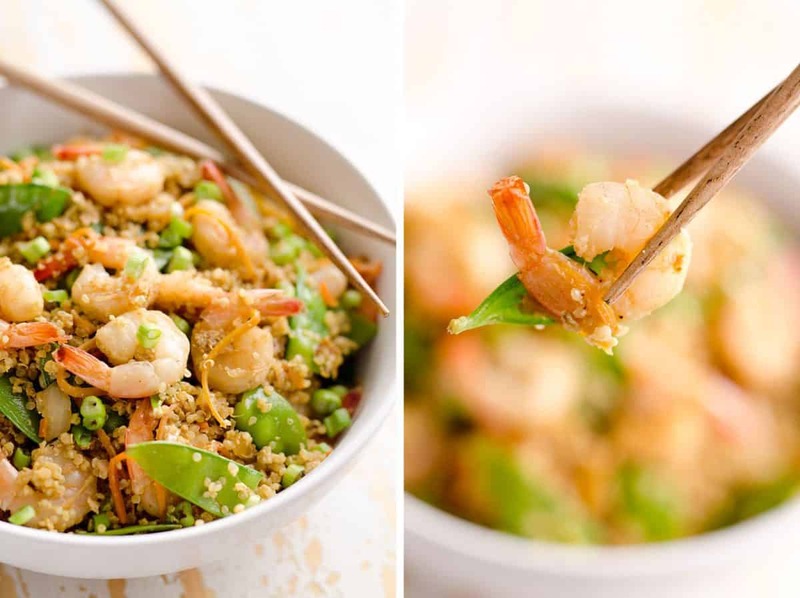 It’s not only for Chinese cuisine like this Light Shrimp Fried Quinoa either. 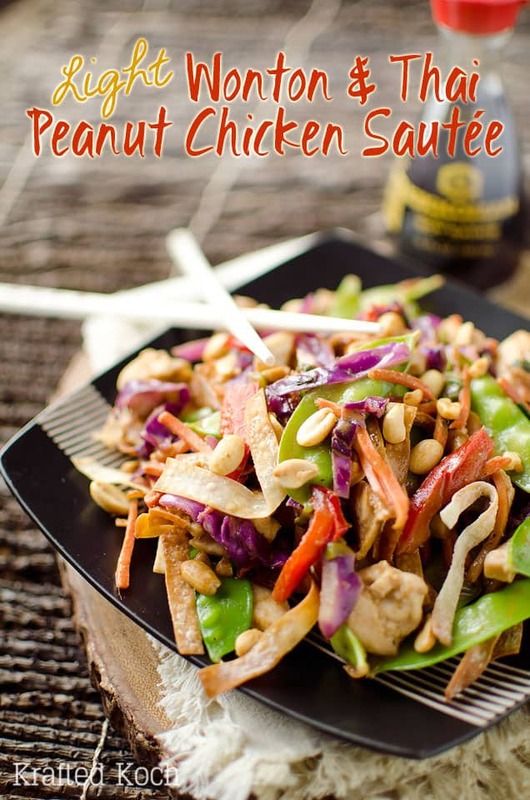 Add some to your Thanksgiving turkey, your sauteed chicken breast or your side of rice for an unexpected twist or substitute salt in a recipes with equal parts soy sauce. When you substitute just 1/2 tsp. Kikkoman Soy Sauce in place of 1/2 tsp. table salt, the sodium content of the recipe is cut by 1000 mg! If you are looking to cut sodium even more in your dishes, feel free to use Kikkoman Less Sodium Soy Sauce. Meanwhile, when the quinoa has about 5 minutes left to cook, in a large saute pan over medium-high heat, add one teaspoon sesame oil with the onion, carrots, peas, ginger and garlic. Saute for 3 minutes until the vegetables are heated through, but still crisp. Add the shrimp to the pan and cook for an additional 1-2 minutes until they are heated. Fluff the quinoa with a fork and add it to the pan of vegetables. Add the whisked eggs and quickly stir everything together until all of the quinoa is nicely coated with the egg mixture. Finish the dish off by adding the soy sauce and give a quick stir so everything is well coated. 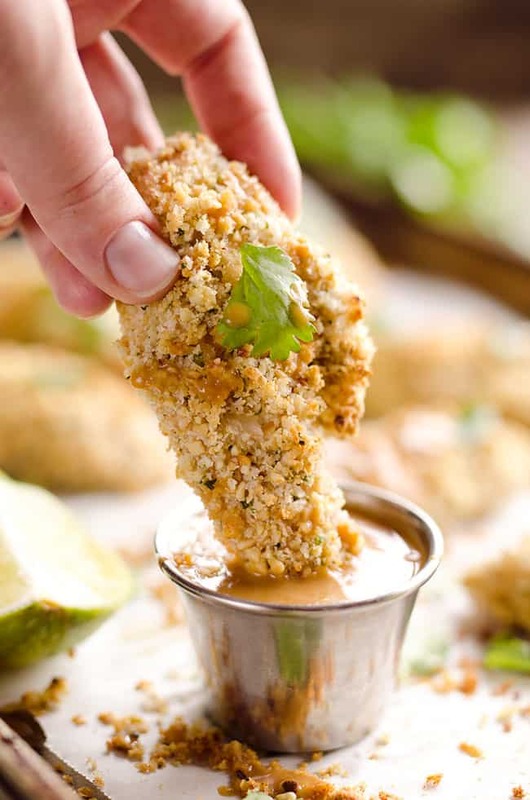 Serve immediately with a bottle of Kikkoman Soy Sauce on the table for your guests to add extra sauce to their liking! 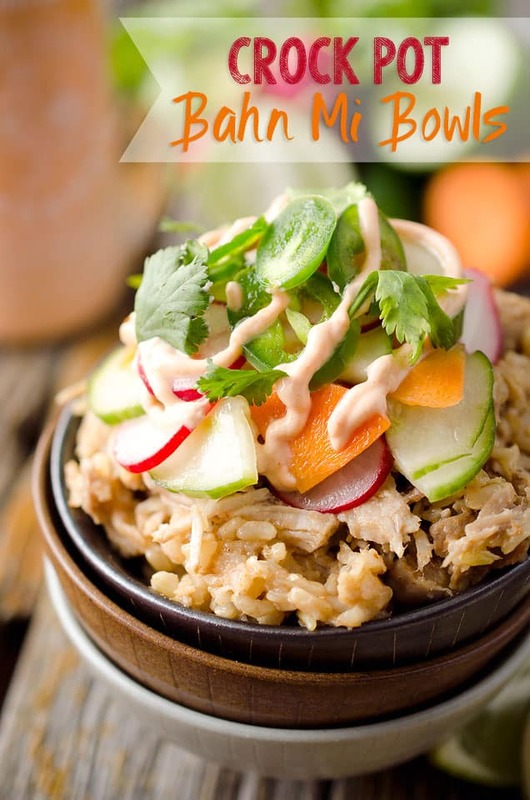 More great dishes with Kikkoman Soy Sauce! Yummy! I’m always on the lookout for new ways to eat shrimp. This looks fantastic.